Some lucky winner will get this great die set-be sure to check back on the 2nd to see who won! 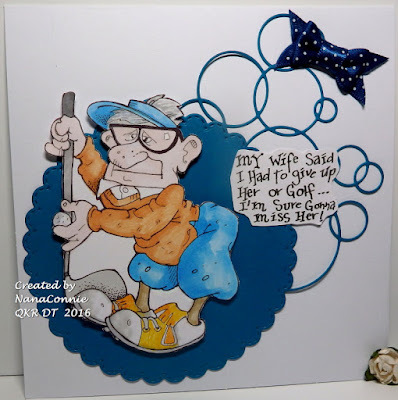 You can find more information on this card at Just A Nutter Paper Crafter. 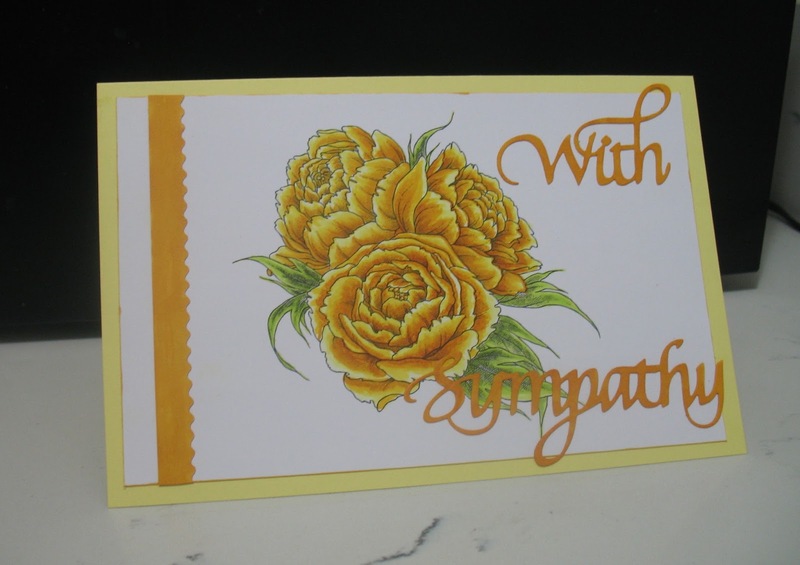 Arlene made a sympathy card for a dear friend of hers and spent over 4 hours coloring the flowers. 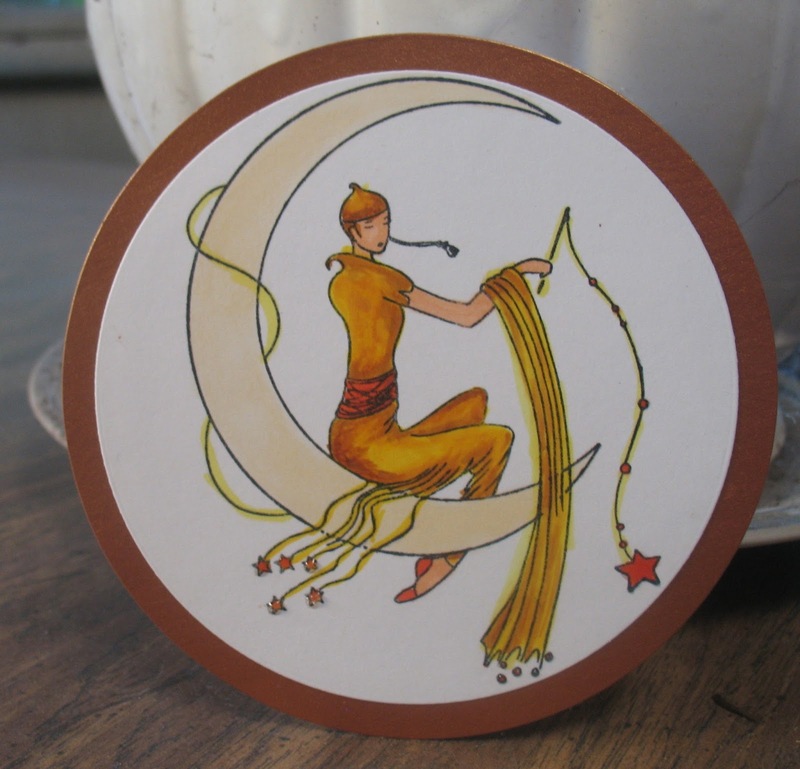 To find out more about this card, you can visit Arlene at A Bit of This and That. 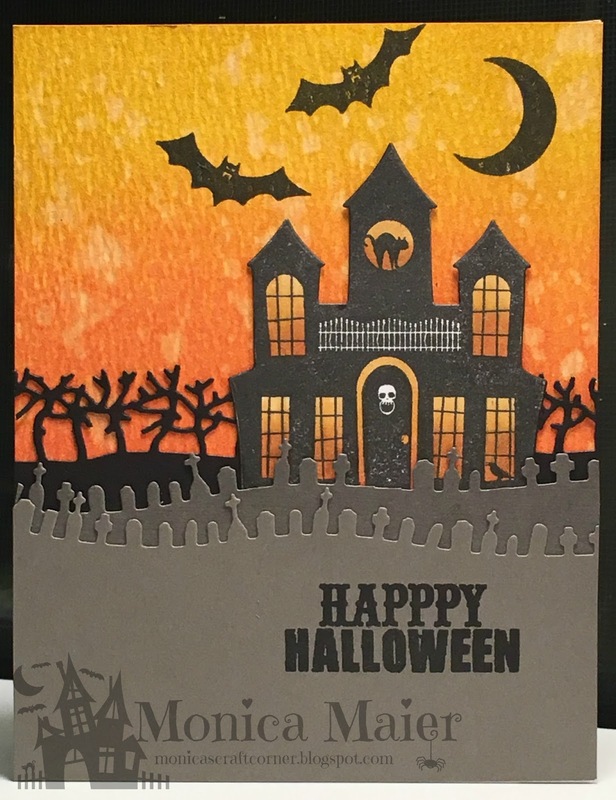 Monica made a CAS Halloween card for her last card. 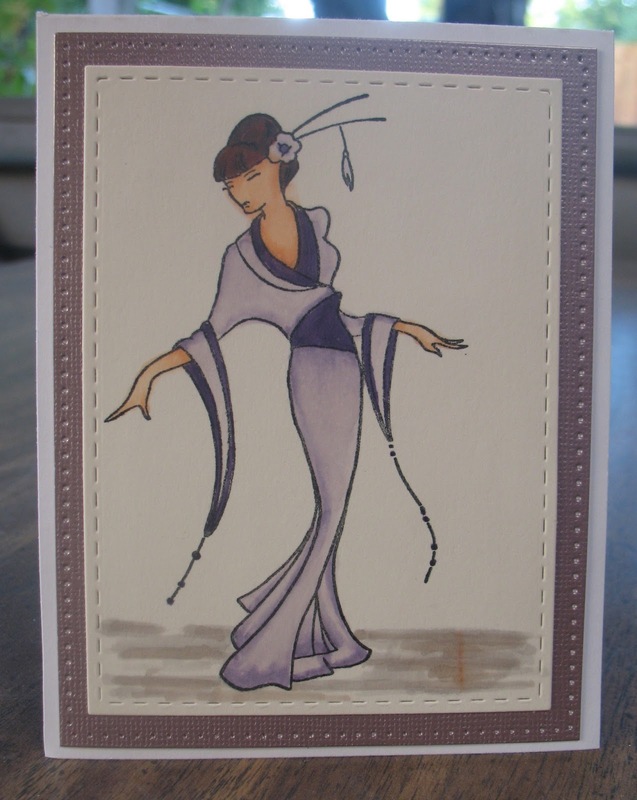 For more information on the card visit her blog here. Our sponsor this month has a HUGE number of stamps and dies to choose from. Do hop over and have a look. Just click on the logo above. So here's my Fall inspired card using some Hero Arts stamps and a Spellbinders circle die. 3. Remove mask and stamp the trees (Hero Arts Color Layering Fall Tree) in Hero Arts Cup o'Joe ink. 6. 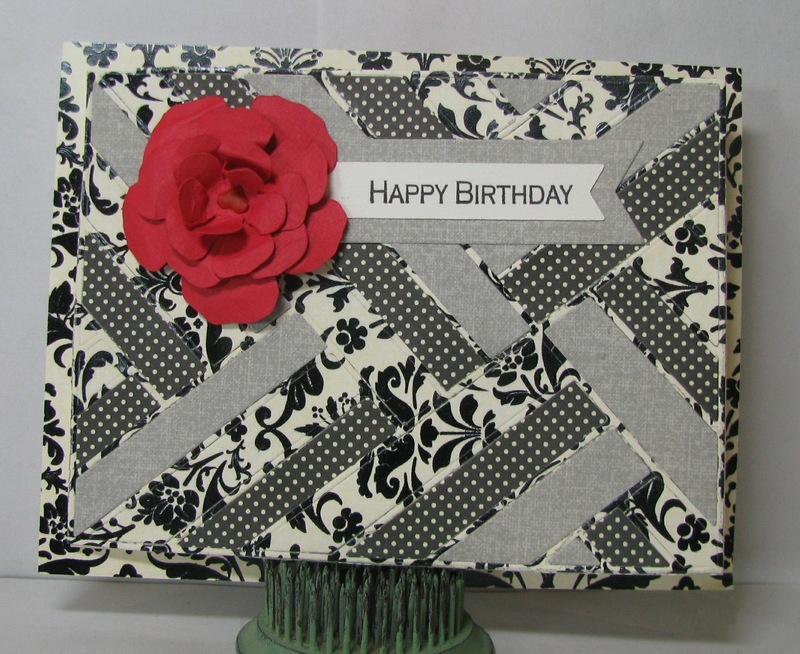 Layer onto black mat and then white card base. thanks for stopping by and don't forget to join us for the last days of our monthly challenge. 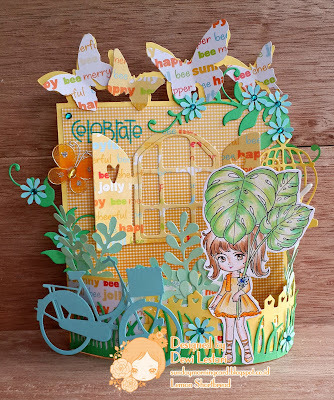 Die Cut Divas' challenge is Fall and Fall Holidays. 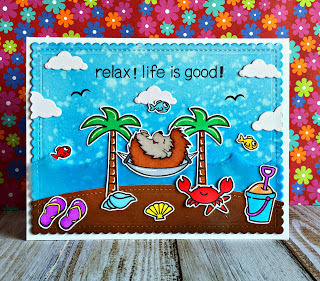 Here is my sample.for September.27th at Die Cut Divas.You can couple the stamped image with Stitched Rectangle dies from the Frantic Stamper. I thought the lavender/purple and the orange/red colors were perfect for an Autumn challenge. That wonderful bird is part of the same set. 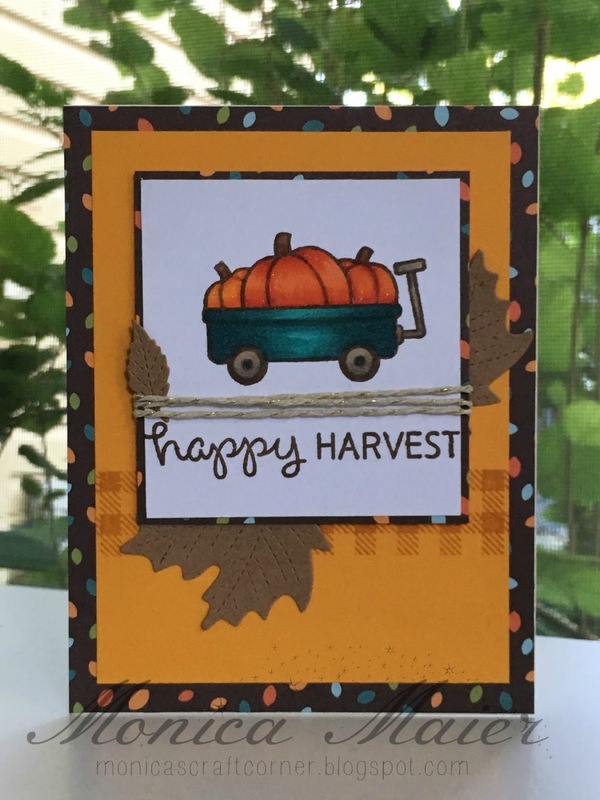 Cathie here with some more inspiration using Autumn / Fall colours and a Unity Company Stamp which can be purchased from Frantic Stamper - our sponsor this month. You still have plenty of time to enter this month's challenge, and be the running for that fantastic Frantic Stamper die. So pull out your Autumn / Fall colours and get to it. and the range of products from our sponsor Frantic Stamper. You still have time to enter the challenge. 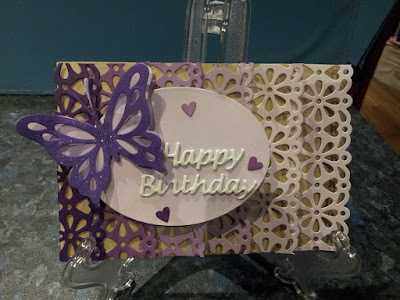 To see more info on the card and links to the goodies I used (that our wonderful sponsor FranticStamper just happens to have), visit my blog here. Love what you've shared with us so far and you still have to play along if you haven't yet! And you could win this great die, a $25.99 value! This card used a lot of dies! I used Stitched Scene Builder , Sun Rays Quilted Card Panel (Frantic Stamper), leaves (Impression Obsession DIE047-1), and Tree (Darice). 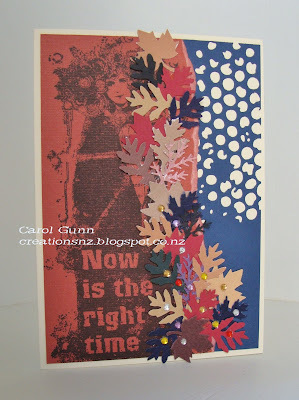 For more information on the materials I used, please join me at Just A Nutter Paper Crafter. Pink enough? Here's a closer look. 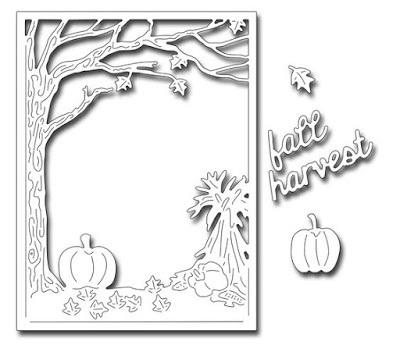 September's sponsor is Frantic Stamper Inc and our challenge theme is Fall or Fall Holidays. I picked Thanksgiving and used a sketch fro the CAS(E) this Sketch #190 for my card. Please visit my blog Escape to Stamping for more details. Hero Art's clear stamp - Autumn available at Frantic Stamper Inc. 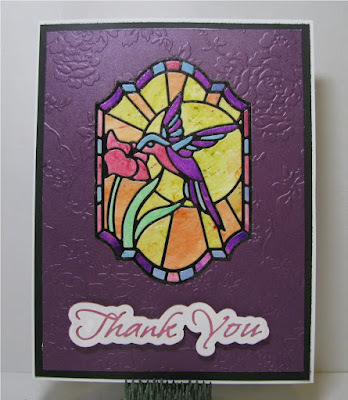 Hero Art's Ombre Ink - Vintage Metallic available at Frantic Stamper Inc.
Hope to see your creation(s) in the linky list. 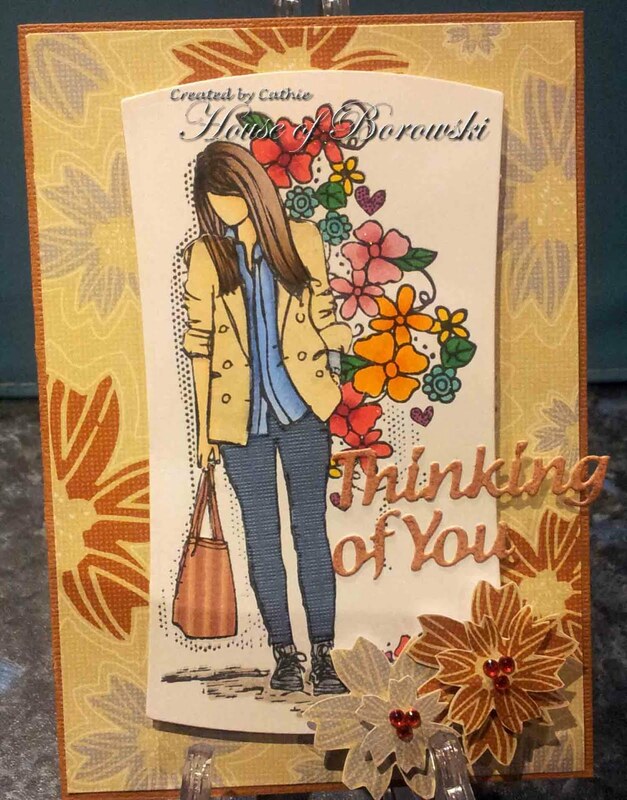 Cathie here with an inspiration project using some great product lines available at the Frantic Stampers. 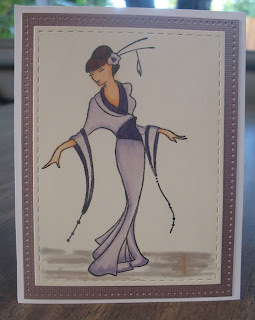 I have been wanting to try ombre for a while and when I saw this Kaisercraft lace die I knew it was perfect for it. Hi Dawn here again. Have you seen all the amazing companies that our sponsor this month has in stock? 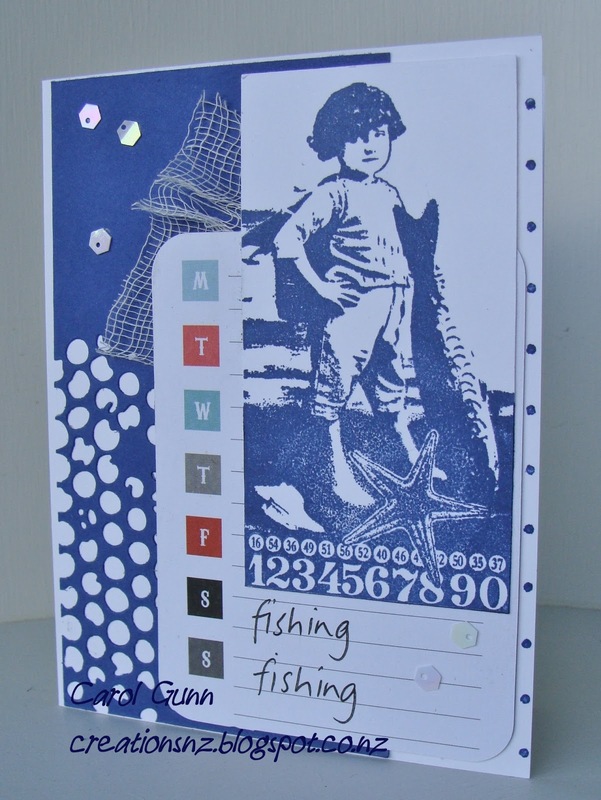 Yes the Frantic Stamper site is chocka block full of amazing products. 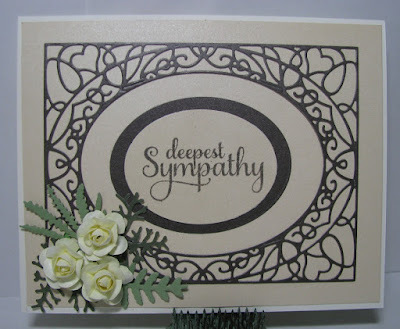 I have used the new Hero Arts Antique Poinsettia to stamp with Versafine Onyx Black ink onto red and green card and then used the matching Dies to cut out the flower layers. 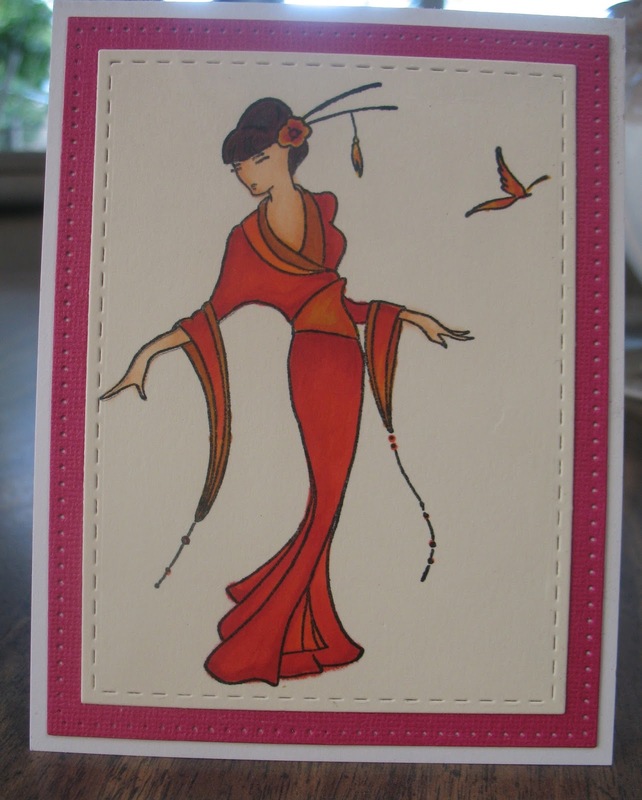 I have not done anything about colouring the stamping just making the most of the coloured card. I have used some PP from a very old MME Lost and Found Christmas pack and layered it onto some red card and then the white base. 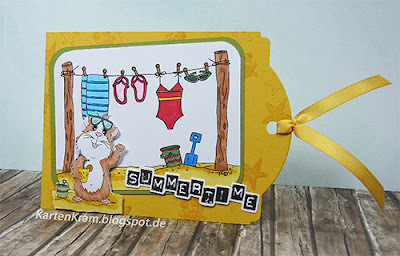 One very quick and fun card done. Be sure to visit our sponsor (here) as you will be surprised how much stock is on hand. 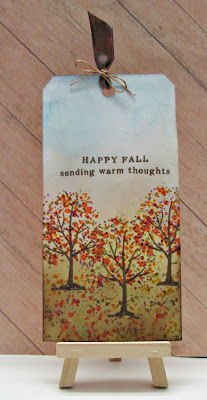 And do remember to add your Fall oar Fall Holiday cards to our challenge this month. 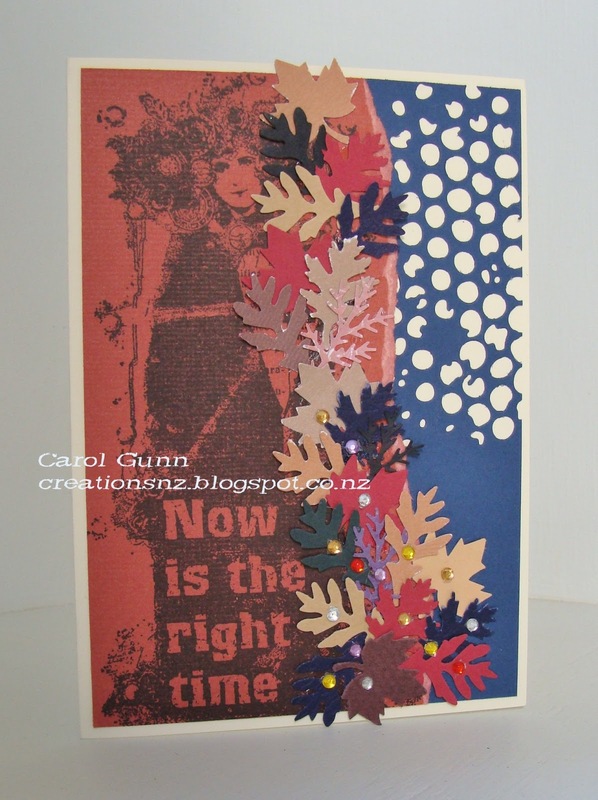 Cindy here to share a card created using Fall colors, that is Fall colors in North America. 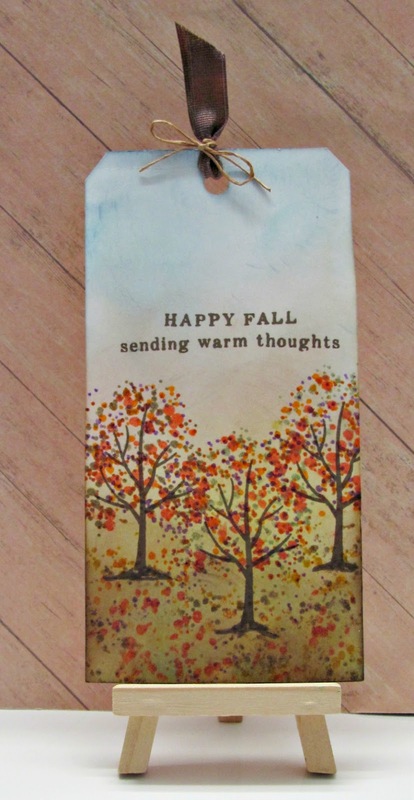 September's challenge theme is Fall or Fall Holidays. And our generous sponsor is Frantic Stamper Inc. The Fall foliage is beautiful where I live. So I pick out the bright yellow, orange, green, red and brown for my card, and I used the Magenta - Flower Branch stencil available at Francic Stamper Inc to create my main image, and the sentiment is from Hero Arts. Hello all, Monica here today to share a card I made for our September theme. Fall and fall holidays!!! 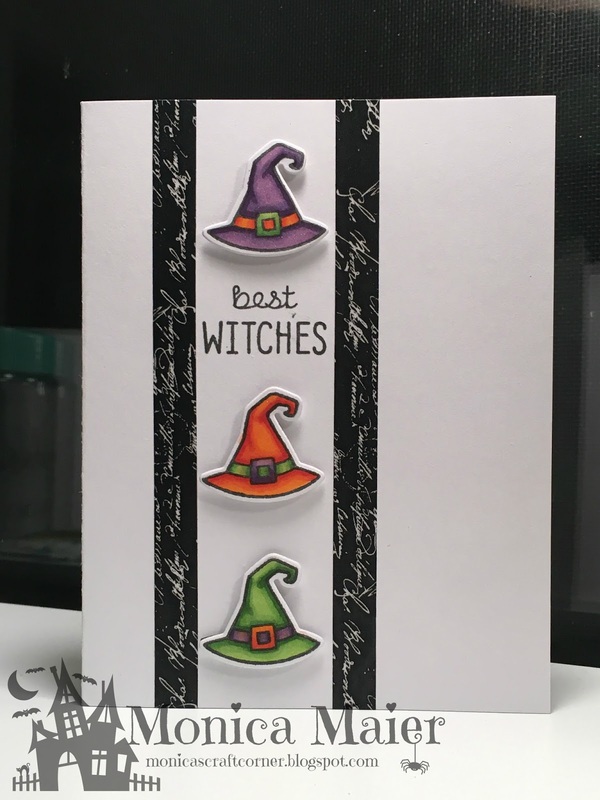 I love making Halloween cards for some reason, they are so much fun for me to make. So that is what I'm starting the month off with. Visit my blog HERE to see more info. Visit the Diva's blog HERE to see more about this months theme and sponsor. Don't forget to play along, I can't wait to see all the wonderful projects you share with us!!! A collective name for a group of butterflies is called a 'Kaleidoscope'. However others have called it a 'Swarm' or 'Rabble'. In addition, the collective name for a group of caterpillars is 'an army'. You can couple the stamped image with Stitched Rectangle dies from the Frantic Stamper. Yes, here is my kaleidoscope of butterflies. Even though I have a lot of yellow in the swarm of butterflies, I'm ok with it. As they say, you learn something new everyday. I'm at A Bit of This and That. 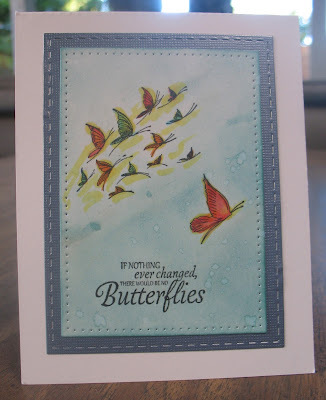 Elizabeth Craft Designs Rectangal Stitched dies - The Frantic Stamper has lots of Stitched dies for you also. One of our Design Team members recently lost her mother, and this card has been sent to her. Having lost my Mom last year, I know what she's going through. 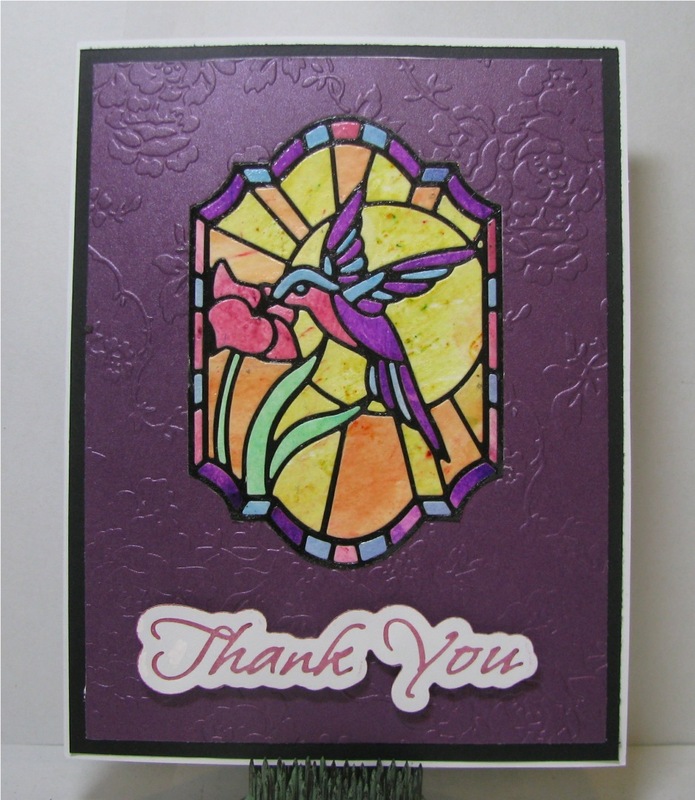 I used Elementals #12-Ovals & Filagree Frame (Frantic Stamper), and ferns (Spellbinders Die D Lites). 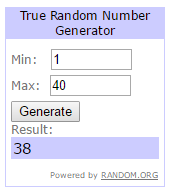 Cindy's favorites is Dianchik #40. I just love the cute scene she has created. Cathie's favourite is #29 Dewi - I love how she has created this whole scene for the coloured in image, it looks fantastic. 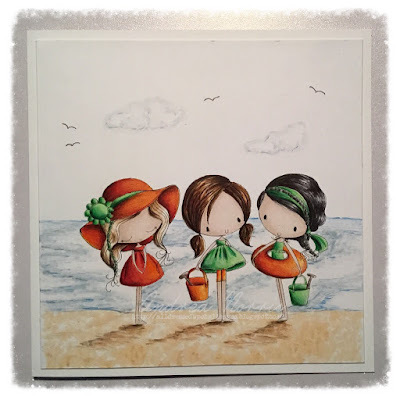 Monica's Favorite is #25 Andrea Norris- I love the scene she created for her beach girls and the coloring is wonderful! 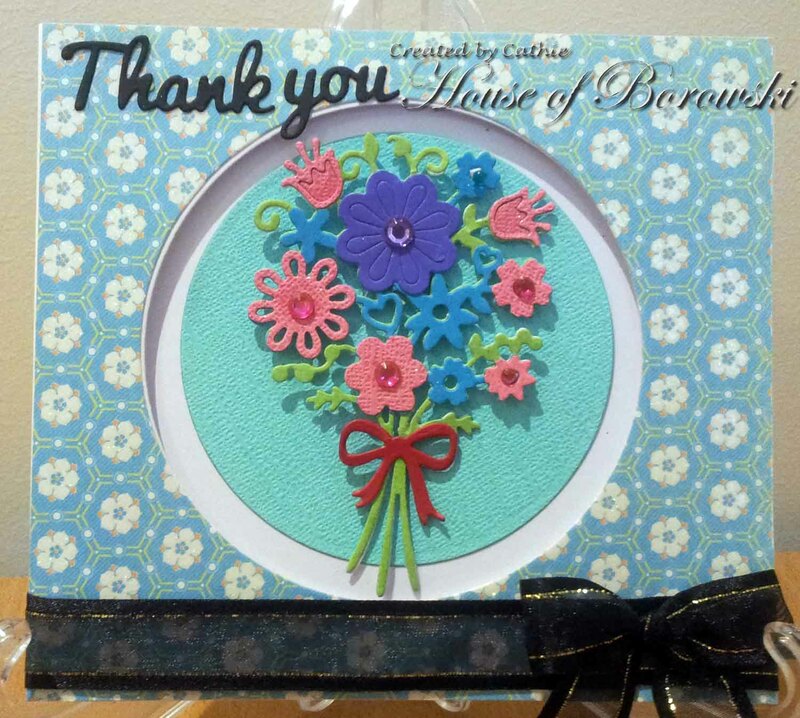 Die Cut Divas are loving all the entries. 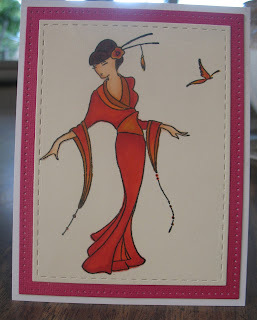 I fell in love with The Crafter'r Companion Kimono stamps and here is my sample.for September. I used the Frantic Stamper Die Woven Ribbon, and the Fishtail Banner by My Favorite Things. You can find more information on the materials used in my card at Just A Nutter Paper Crafter.